All Web addresses mentioned were functional as of 6-2-17. From the Cumberland Gap to the Atlantic Ocean, this is Virginia Water Radio for the week of June 5, 2017. This week, the deep call of a Bullfrog sets the stage for a blitz of mystery sounds, all related to an annual biological kind of blitz. Have a listen for about 30 seconds, and see if you can guess what two groups of animals are making these sounds. If you guessed amphibians and reptiles, you’re right! Those were the trill of Gray Tree Frogs, the clicking of Northern Cricket Frogs, the baby-cry-like call of Fowler’s Toads, the thunking sound of Green Frogs, and the unmistakable warning signal of a rattlesnake. 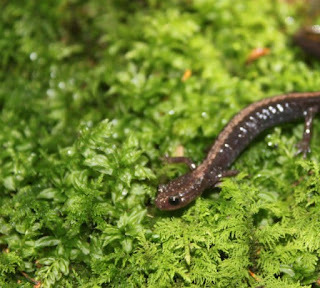 Collectively, amphibians and reptiles are called “herps,” and herpetology is the scientific study of these animals. In Virginia, that study will advance during the 12th annual Herp Blitz on June 10-11, 2017, at Hidden Valley Wildlife Management Area in Washington County. Herp Blitz is an annual weekend survey conducted by the Virginia Herpetological Society, in which volunteers document all the amphibians and reptiles they can find in an area. Since its founding in 1958, the Society has been conducting herp-documenting events all over the Commonwealth, from Tidewater swamps to Piedmont forests to mountain streams. In 2017, besides the Herp Blitz the Society organized surveys in Big Woods State Forest and Wildlife Management Area in Sussex County, in Newport News Park, and on Mole Hill in Rockingham County. Such surveys provide information on the numbers, habitats, and geographic distribution of Virginia’s approximately 150 species and subspecies of amphibians and reptiles—creatures that perform important ecological roles and that enrich the biological diversity of our lands and waters. The surveys also give herp-curious humans a chance to explore, observe, learn, and contribute. Thanks to the Virginia Department of Game and Inland Fisheries and to Lang Elliott’s NatureSoundStudio for the Bullfrog sound, and thanks to the U.S. Fish and Wildlife Service for the rattlesnake sound. This episode updates and replaces Episode 69 (6-20-11), which has been archived. 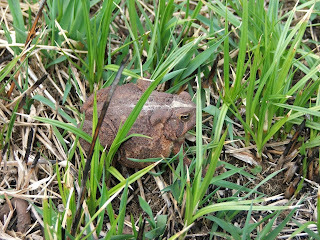 The American Bullfrog sound was excerpted from “The Calls of Virginia Frogs and Toads” CD, copyright 2008 by the Virginia Department of Game and Inland Fisheries (VDGIF) and Lang Elliott/NatureSoundStudio, used with permission. The CD is part of the VDGIF’s A Guide to the Frogs and Toads of Virginia. For more information, visit https://www.shopdgif.com/product.cfm?uid=1928838&context=&showInactive=N, or contact VDGIF at 4010 West Broad Street, Richmond, VA 23230; phone: (804) 367-1000 (VTDD); e-mail: dgifweb@dgif.virginia.gov. Lang Elliott’s work is available online at the “Music of Nature” Web site, http://www.musicofnature.org/. The rattlesnake sound was taken from the U.S. Fish and Wildlife National Digital Library, http://digitalmedia.fws.gov/cdm/ (specifically at http://digitalmedia.fws.gov/cdm/singleitem/collection/audio/id/61/rec/18). 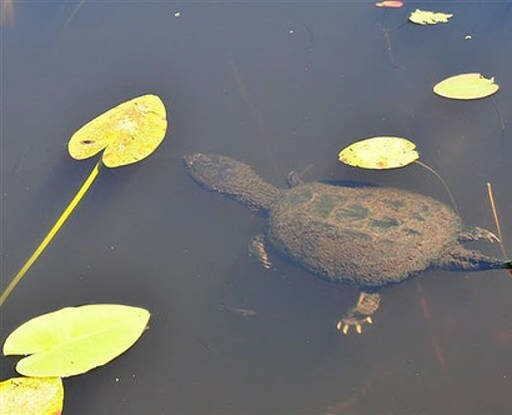 Green Frog – in Blacksburg, Va., August 1, 2016.
bottom photo - Snapping Turtle at Trustom Pond National Wildlife Refuge in Rhode Island, 2010. Photo by Tom Tetzner, made available for public use on the U.S. Fish and Wildlife Service’s National Digital Library, online at https://digitalmedia.fws.gov/cdm/singleitem/collection/natdiglib/id/10380/rec/13. Bernard S. Martof et al., Amphibians and Reptiles of the Carolinas and Virginia, University of North Carolina Press, Chapel Hill, 1980. W. Cullen Sherwood, “A Brief Geological History of Rockingham County/Mole Hill and Other Melted Rocks,” James Madison University Department of Geology and Environmental Studies, online at http://csmres.jmu.edu/geollab/vageol/outreach/fieldtrips/rockingham/molehill.html. Virginia Department of Game and Inland Fisheries, “Hidden Valley,” online at https://www.dgif.virginia.gov/wma/hidden-valley/. Virginia Herpetological Society, main Web page at http://www.virginiaherpetologicalsociety.com/index.html. “News/2017 Survey Schedule,” online at http://www.virginiaherpetologicalsociety.com/news/index.html (as of 6/1/17). Davidson College (North Carolina) Herpetology Lab, “Amphibians and Reptiles of North Carolina,” online at http://www.herpsofnc.org/. Maryland Sea Grant, “Diamondback Terrapins, online at http://www.mdsg.umd.edu/topics/terrapins/diamondback-terrapins. Joseph C. Mitchell, “Snakes of Virginia” (no date indicated), online (as PDF) at http://www.people.vcu.edu/~albest/troop700/documents/TheSnakesOfVirginiaO.pdf. 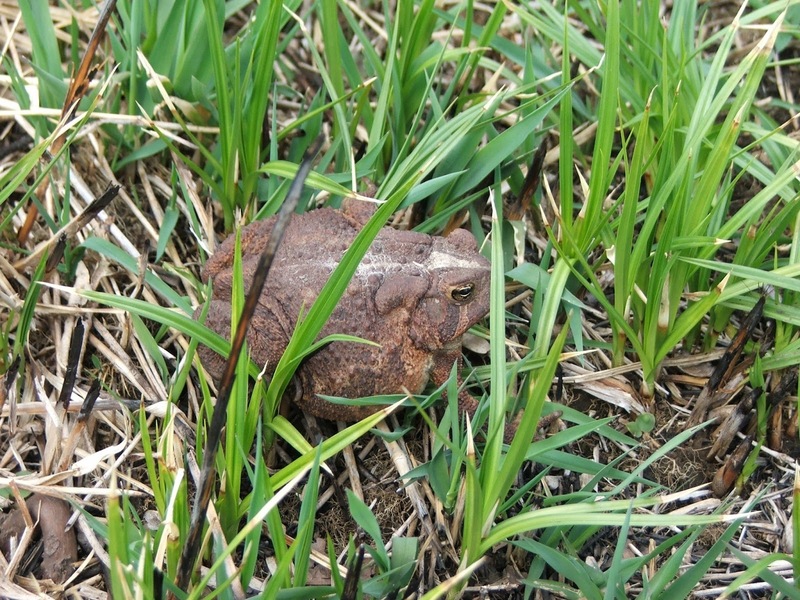 Virginia Department of Game and Inland Fisheries, “Virginia Frog & Toad Calling Survey,” online at http://www.dgif.virginia.gov/wildlife/frogsurvey/; part of the North American Amphibian Monitoring Program, online at https://www.pwrc.usgs.gov/naamp/. These programs use the sensitivity of amphibians to water availability and quality as a tool for assessing changes or threats to aquatic systems. Virginia Institute of Marine Science, “Virginia’s Sea Turtles,” online at http://www.vims.edu/research/units/legacy/sea_turtle/va_sea_turtles/index.php. Virginia Wildlife Mapping Web site, online at http://www.inaturalist.org/projects/virginia-wildlife-mapping. This site provides a location for citizens to post their observations about wildlife. The site is a collaboration of the Virginia Department of Game and Inland Fisheries, the Virginia Master Naturalist Program, and iNaturalist.org. Herbert S. Zim and Hobart M. Smith, Golden Guide to Reptiles and Amphibians, Golden Books, New York, N.Y., 1987. Virginia Sea Grant, “Terrapin Files,” in the Summer 2012 issue of Virginia Marine Resource Bulletin, online at https://vaseagrant.org/category/vmrb/ (this is the Web site for the Bulletin archives). All Water Radio episodes are listed by category at the Index link above (http://www.virginiawaterradio.org/p/index.html). Listed below are previous episodes on amphibians or reptiles. Snakes generally – Episode 151, 3/4/13.